and the really cool digital V100! We've heard some great things about these irons, so we're excited to be teaming up with Reliable for a fun (and very generous) giveaway! Check out some of the reviews from "real folks" here: Reliable Reviews. Reliable has been around since 1955, and they're well known for their innovative products and customer service, just like us! And, just like us, they want to have some fun on Facebook, so they are going to give not one, but FOUR , lucky folks their choice of either a V50 or a V100 iron. Amazing! 1. Make sure you're registered in the Arrow Contest Database. Visit our Facebook page, like us, and click on the link that says "Contest Sign Up!" located under our profile picture on the left. If you've signed up for any of our previous contests, you don't have to sign up again. 2. Visit Reliable's Facebook page and "like" them too! 3. 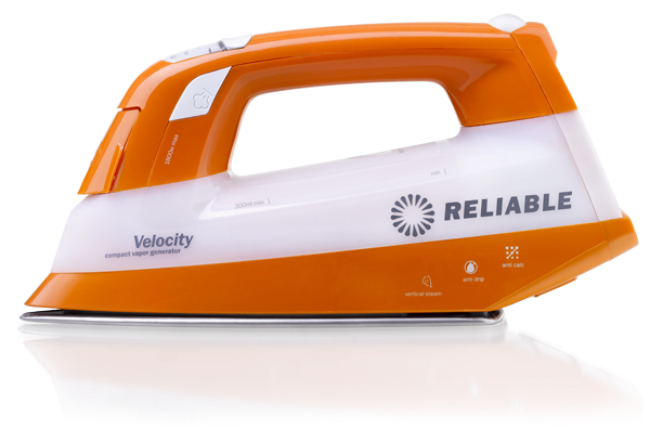 Watch the "Velocity V50 goes Hollywood" video that is posted on Reliable's Facebook page. 4. Come back to this blog post and leave a comment that includes the following: your favorite celebrity from the video, your first and last name, and your city and state. 5. Deadline is Monday, April 9th at 5 pm Eastern time. 6. We'll pick four random winners from all of the entries received before the deadline. I hope all of you are enjoying your Friday evening! We have been having so much fun with all of you during National Craft Month, and we have even more planned for next week. 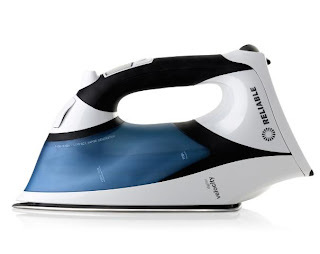 We'll be teaming up with our friends at Reliable Corporation for a great giveaway, and we still have two contests you can join in on - our Handy Hankies Contest and our Machine Cover Contest. 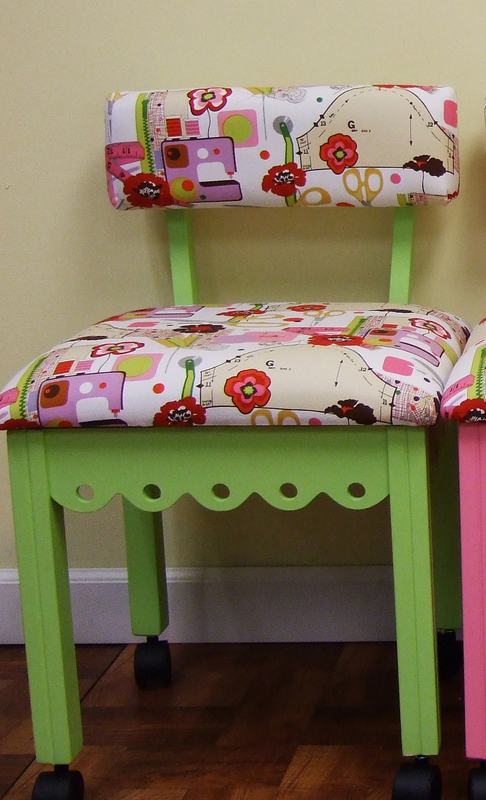 Get busy sewing this weekend and see what you can come up with! It looks like Linda Pearl from Nashua, NH is the lucky gal today! Congrats Linda! Have a wonderful weekend everyone, and don't forget to pop in on Monday for more fun! Another Friday, another week of 2012 gone! And what a week it was, prizes, contests and fun with our Facebook friends! 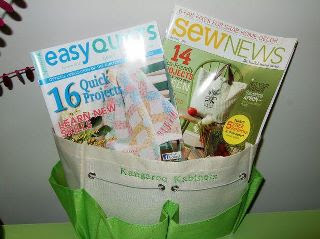 We're sending out this great prize, a Kangaroo Kutting Mat and a Fiskars Rotary Cutter! It's headed down to Thearica Burroughs in Henderson, NC! Congratulations Thearica! Please email rebecca@arrowcabinets.com so that we may verify your address! We still have some great contests going on - our "Makeover A Dishtowel" contest which closes on 3/20, and our "Handy Hankies" contest which closes on 3/27, so get busy creating and send us some pictures! Be sure to check back tomorrow to find out the winner of our "Kiss The Blarney Stone" contest! 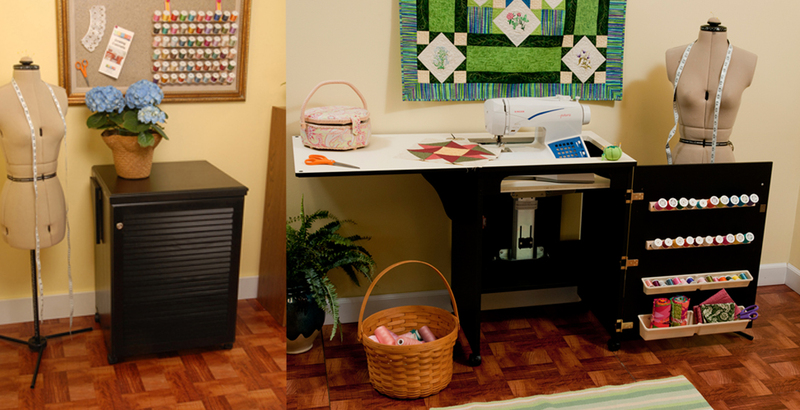 We know you've all been on pins and needles waiting to find out which two lucky fans will be getting an awesome Sewnatra sewing cabinet! But wait! 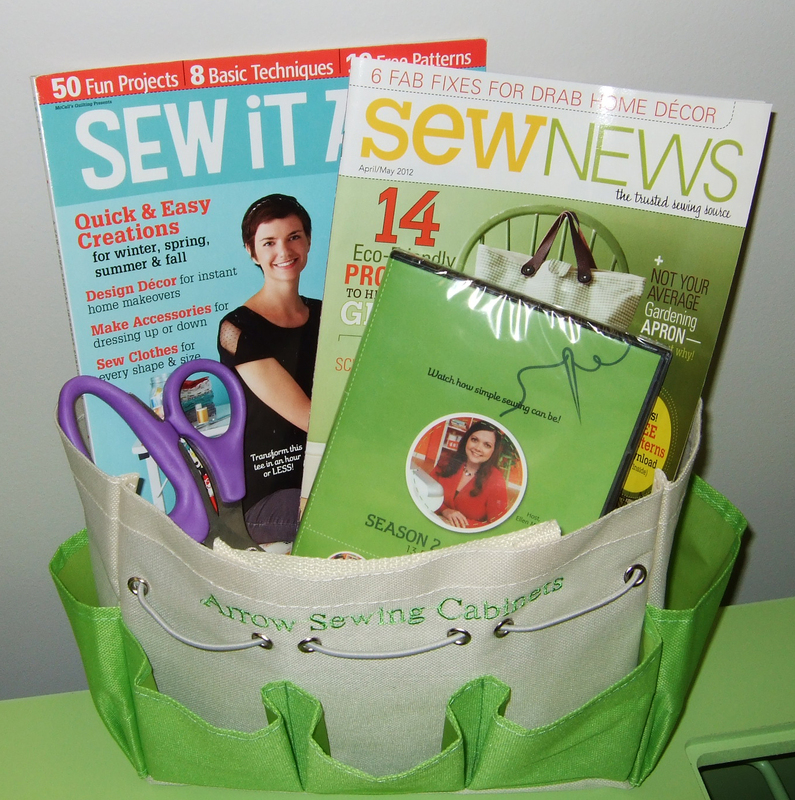 Not only are they getting a Sewnatra, their favorite sewing/quilting store will also be receiving a Gidget II! It's double the fun! So, who are the lucky fans? It's Beverly Blair from Coshocton, OH and Caron Smith from Alamagordo, NM! Congratulations ladies! We'll be in touch tomorrow! And we want to send out a big "thank you" to all of our Facebook fans! Remember, we've got more Gidget II giveaways, and a really big giveaway when we hit 10,000! We had a wonderful response to our pillowcase contest - we received 26 bright and cheery pillowcases that will soon be making some very sick kids smile! Thanks so much to all of you that entered! Then he claimed he was exhausted, but we made him go back to work anyway! Congratulations A. Taiwo Oki from Richmond, VA! 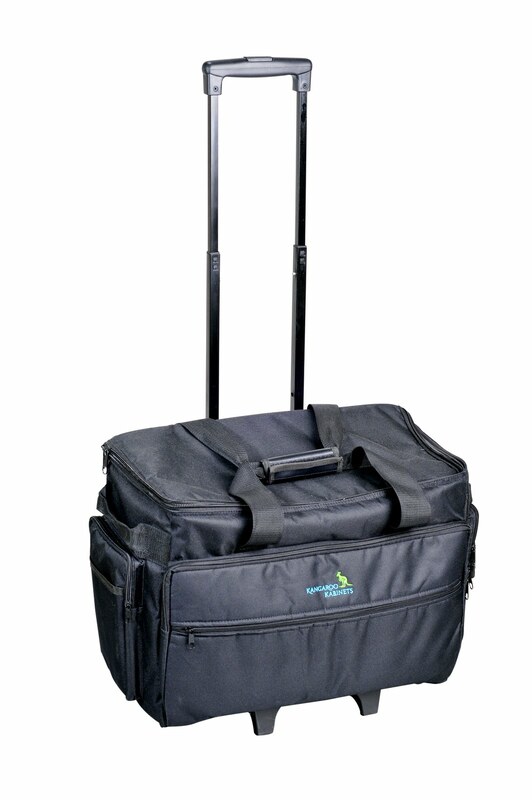 We've got an awesome Kangaroo Kabinets rolling tote headed your way! Please email us at rebecca@arrowcabinets.com. Thanks again to everyone that entered!! St. Patrick's Day is almost here, and it's time to wear green, drink green beer (or Kool-aid), and try to cacth a few leprechauns! It's also time for another fun contest! 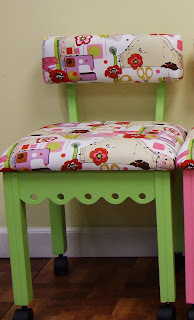 Since green is the official color of the day, we're giving away our cute pistachio green Chair-y! 1. Dress up in your best leprechaun-inspired outfit. 5. Email your picture to rebecca@arrowcabinets.com no later that Friday, Mar. 16th at 5 pm Eastern time. Please include in your email that you give us permission to post your picture on our blog & Facebook. 6. All the pictures will be posted on St. Patrick's day, and the winner will be chosen by Arrow staff. REMEMBER - creativity counts!! 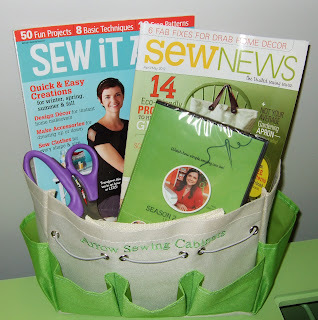 It's National Craft Month, so we're having a different contest every week in March! This week, it's our "Make Over A Dish Towel" contest! Find a cute dishtowel or tea towel, and turn it into something fun, or functional, or both! We know how creative you all are! Once it's complete, send us in a photo, we'll post them here on the blog, and then we'll choose a winner! What will the winner get? How about our awesome rolling tote? 1. 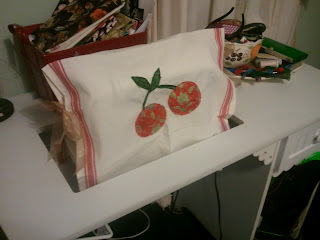 Make something out of a dishtowel! 3. Take a picture of it, and email it to rebecca@arrowcabinets.com by Tuesday, March 20th at 3 pm Eastern time. That's it - easy peasy! If you have any questions, please email Rebecca at rebecca@arrowcabinets.com! and we'll be sending it to Sandy George in Perry, IA! Congrats Sandy! Don't forget, we've got more great giveaways and contests for you - we are very close to giving away a Sewnatra Sewing Cabinet - only 211 likes to go, yippee! We've also got the details for our first National Craft Month contest posted. Check out the details here: Create Case, Win A Tote! We're really looking forward to seeing your entries! Have a great weekend everyone! To kick off National Craft Month, we thought we'd challenge all of you to a quick little contest with a purpose! Last year Arrow was a proud sponsor of ConKerr Cancer's "Miles of Pillowcase Smiles" event. ConKerr Cancer makes and delivers bright, cheerful pillowcases to chronically ill children in hospitals across North America and in South Africa.During this one-month event last year, over 46,000 pillowcases were made! Unfortunately, their need for pillowcases is never-ending, and with your help, we'd like to provide them with more! Our awesome Kangaroo Kabinets rolling tote! 3. Pillowcases must be received by Friday Mar. 9th at 5 pm Central time. Please include your name and address with your case! That's it - easy peasy! Create a case, create a smile, and win tote! If you'd like more information on ConKerr Cancer, visit their website at www.conkerrcancer.org, and don't forget to like them on Facebook!